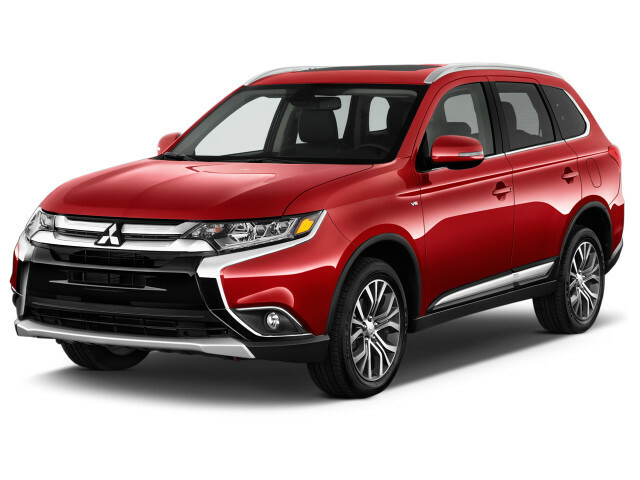 Shopping for a new Mitsubishi Outlander? The Outlander’s best at or near base configuration. It starts to lose its value compared to others in its class in top trims. The 2018 Mitsubishi Outlander’s story this year isn’t told here; a new plug-in hybrid is (finally) available in the U.S. 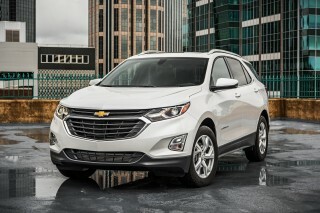 It matches an inline-4 with a 12-kilowatt-hour battery and electric motors and is one of the few plug-in hybrid crossovers on the market. According to Mitsubishi, the Outlander PHEV can run for up to 22 miles on electrons alone. For those without a plug, the Outlander is roughly identical to the outgoing model, which is to say, affordable, approachable, if not all that exciting. The Outlander is among few compact crossovers with an available third row, although we don’t consider it (or any others) to be all that useful. The Outlander is available in ES, SE, SEL, and GT trim levels, with all-wheel drive available at every stop except GT, where it’s standard. A 2.4-liter inline-4 that makes 166 horsepower is standard on all trim levels, but ultimately it feels overburdened by too much mass. An uprated V-6 is standard on the GT trim level, but its gain in power (224 hp) is offset by its thirst and its need for premium fuel too. Regardless of engine, the Outlander uses a continuously variable transmission that’s geared more toward stoplight grand prix duty than highway passing. That may work in and around town, but it doesn’t inspire much confidence on highways and interstates. This year, Mitsubishi has upgraded the base infotainment system to a 7.0-inch touchscreen with Bluetooth connectivity. Base Outlanders are further equipped a split-folding second and third row, dual-zone climate control, keyless ignition, a leather-wrapped steering wheel, USB port, a rearview camera, and a new 7.0-inch touchscreen with Bluetooth connectivity for infotainment. Successive trims get better interior materials and upgraded leather upholstery, although the Outlander’s best value proposition is in base trim levels. 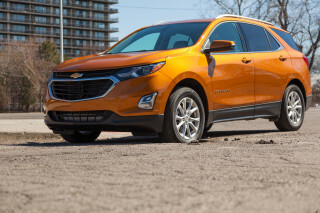 All-wheel drive complements an otherwise already competent crossover, though it still lacks some of the refinement—and fuel economy—of its contemporaries. The 2018 Outlander doesn’t commit many sins, but it also stops short of earning praise too. The 2018 Mitsubishi Outlander received a mild update in 2016, and by our eyes, it’s a muddled composition. In front, Mitsubishi offers lashings of chrome that look upscale considering its low price, but the grille and pillars on the front bumper end up looking like fangs to us. The profile is a better perspective for taking in the Outlander, and the lower chrome moldings play well off the front end. Across the rear tailgate, Mitsubishi has framed the rear badge in floating chrome that doesn’t appear to be grounded in the taillights or the wraparound bumper. The lower rear bumper is dressed with a horizontal bar that helps break up the black plastic surfaces, and we appreciate the effort. Inside, the Outlander is finished with materials that have visual appeal, but don’t feel confident or soft. The old mouse fur headliner has been replaced with newer materials, although there are some surfaces that still feel comparatively outdated. There are bright spots, but the 2018 Mitsubishi Outlander feels over-burdened by its mass and a lack of power on most trim levels. The Mitsubishi Outlander relies on a pair of outdated powertrains to motivate the considerable mass. Unfortunately, it also asks a busy, and noisy, continuously variable transmission to make the most of that (lack of) power. Not all the news is bad, the Outlander’s steering is a bright spot that helps the Outlander avoid our wagging finger. The Outlander uses a 2.4-liter inline-4 for primary power on most trims. The busy engine makes an anemic 166 horsepower that’s burdened by 3,500 pounds of mass. The Outlander GT gets an uprated V-6 that makes 224 hp and 215 pound-feet, and it’s better suited for the Outlander’s weight, although it requires premium fuel and doesn’t turn out all 215 lb-ft until high in the rev range. Regardless of engine, the CVT that Mitsubishi uses is geared toward low-speed duty and feels uncertain at higher speeds. It works better in stop-and-go situations (which we understand many buyers are looking for anyway) but is labored in passing and on the highway. 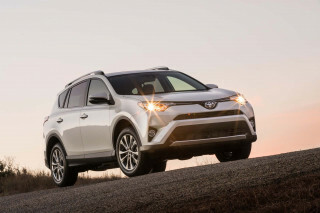 All-wheel drive is optional at every trim level except GT, where it’s standard. The Outlander is relatively competent off road, which is more than many of its competitors can say. 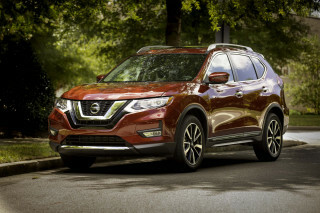 Base ES trim levels use an older all-wheel-drive system that’s manually disconnecting (accessed via a knob inside the car) while all over trim levels use a more advanced, electronic setup. In most drives, we’ve found the Outlander’s steering system to be responsive and sharp, even a little heavy. Its on-center feel is more nervous than many in its class, and it’s quicker than we’d like, but we’re not going to complain too loudly. This year, Mitsubishi has finally brought to market its plug-in hybrid variant of the Outlander. It pairs a 2.0-liter inline-4 to a 12-kwh battery and electric motors. The system is similar to Honda’s, in that it can run the Outlander on electrons alone, or as a hybrid in series or parallel configuration. When the Outlander isn’t running on batteries, the internal combustion engine can feed power to the batteries alone or supplement the electric drive, whichever is most efficient. The Outlander PHEV can run up to 22 miles on electricity alone, and Mitsubishi says it’ll manage 25 mpg combined when operating as a hybrid. The 2018 Mitsubishi Outlander has comfortable seating for five with room for plenty of gear, but not many more. Despite the 2018 Mitsubishi Outlander’s budget price, it’s fairly well-outfitted among compact crossovers. It received a much-needed makeover in 2016, including higher quality interior materials and better support for its seating. More sound-deadening material was added, and the second-row seats were made more comfortable but retained the flat-folding arrangement we liked in the first place. By the numbers, the Outlander is on par with the Honda CR-V and Toyota RAV4, but the Mitsubishi manages to feel larger inside thanks to clever packaging. The seat bottoms are large enough for tall legs and the second row is comfortable for adults too. Access to the third row is limited, and we’re not sure it would be suitable for anyone not interested in the Tooth Fairy. The loading floor is fairly low and completely flat, which means that big-box items should easily slide in from the rear all the way to the front. With all three rows up, the Outlander holds a fairly anemic 10.3 cubic feet of cargo. With the third row down (an ideal arrangement) the Outlander boasts 34.2 cubes of cargo space. With only the first row in place, the Outlander holds 63.3 cubic feet of cargo. Good safety records and available advanced safety features in the Mitsubishi Outlander are somewhat spoiled by pricey add-on packages. The 2018 Mitsubishi Outlander has performed well in crash tests, according to federal and independent safety officials. Keeping the Outlander from scoring higher on our safety scale are a few blemishes on the safety scorecard and expensive advanced safety features on top trims. Starting at the SEL trim level, the Outlander comes equipped with blind-spot monitors. All Outlanders have rearview cameras as standard. On SEL and GT trim levels, a Touring Package adds forward-collision warnings with automatic emergency braking, adaptive cruise control, and lane departure warnings. It’s a worthwhile suite of features but Mitsubishi asks $3,000 for the entire package, and compared to its rivals that’s about $3,000 too much—Honda and others offer automatic emergency braking standard on every model. Beyond pricey safety gear, Mitsubishi makes standard seven airbags, including a driver’s knee airbag. Outward vision is generally good in the Outlander, however rear three-quarter vision is tricky, a common problem in crossovers. The 2018 Mitsubishi Outlander has worthwhile features at a relatively affordable price. This year the 2018 Mitsubishi Outlander adds more active safety features on more trim levels, and top trims get a few more creature comforts. 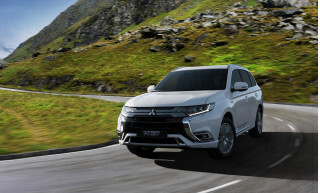 With the Outlander, Mitsubishi offers the crossover in ES, SE, SEL, and GT trim levels, with a handful of packages among them to narrow the gaps between the grades. The Outlander ES starts at $25,060, including destination, for a front-drive model. The base Outlander ES offers a split-folding second and third row, dual-zone climate control, keyless ignition, a leather-wrapped steering wheel, USB port, a rearview camera, and a new 7.0-inch touchscreen with Bluetooth connectivity for infotainment. Stepping up to the SE trim level adds heated seats, satellite radio, Apple CarPlay and Android Auto compatibility, and foglights. A popular equipment package for Outlander SE includes a heated steering wheel, surround-view camera system, and LED headlights. 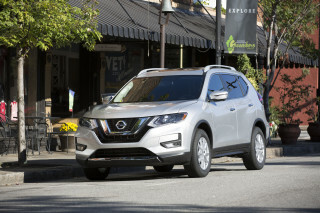 The SEL trim level adds leather upholstery, a power-adjustable driver’s seat, higher quality interior trim pieces, and an auto-dimming rearview mirror. An extra-cost touring package for the SEL adds advanced safety equipment that we cover separately. The GT trim level is the top of the pile in Outlander country and adds an uprated V-6 engine, a premium audio system by Rockford Fosgate, power liftgate, and automatic headlights. 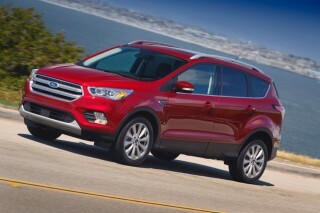 The same touring package available on the SEL is offered on the GT trim level and it adds the same equipment. 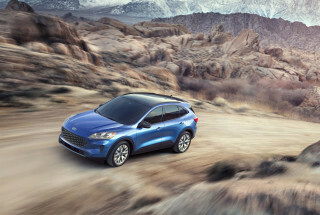 The GT trim is only offered with a V-6 and all-wheel drive, and standalone options such as a rear-seat entertainment package and remote starting are available on most Outlanders. The 2018 Mitsubishi Outlander is competitive, but not class-leading, when it comes to overall fuel-economy. The 2018 Mitsubishi Outlander is slightly behind the curve when it comes to fuel economy among crossovers. That’s largely due to a 2.4-liter inline-4 that lacks fuel-saving tech like electrification or turbocharging. A plug-in hybrid Outlander is available, and is far more efficient, pairing an inline-4 with a 12-kwh battery and electric motors. 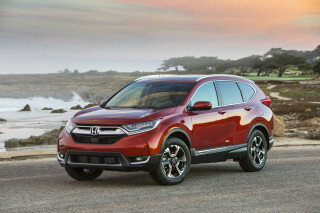 Skipping all-wheel drive slightly improves fuel-economy. Those versions are rated at 25/30/27 mpg. Top GT trims are rated at 20/27/22 mpg, but those are only available with all-wheel drive and are fitted with a thirstier V-6 engine. The Outlander PHEV manages 25 mpg combined, or 74 MPGe with electrons and gasoline together. It can drive up to 22 miles on electricity alone. Among its competitors, the Outlander is a step behind. 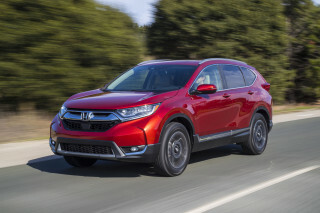 The Honda CR-V manages up to 30 mpg combined, and the Chevy Equinox reaches up to 28 mpg combined, or 32 mpg combined with an available turbodiesel.